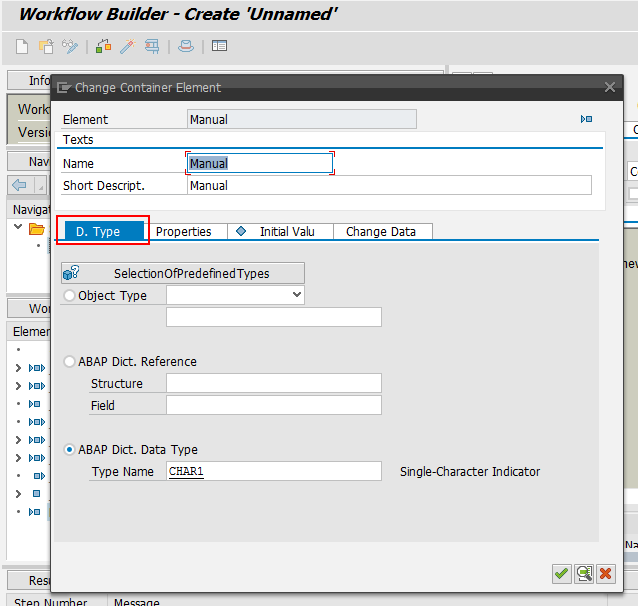 In SAP Workflow we have different types of components and each components will have their own containers to store the data at run time. 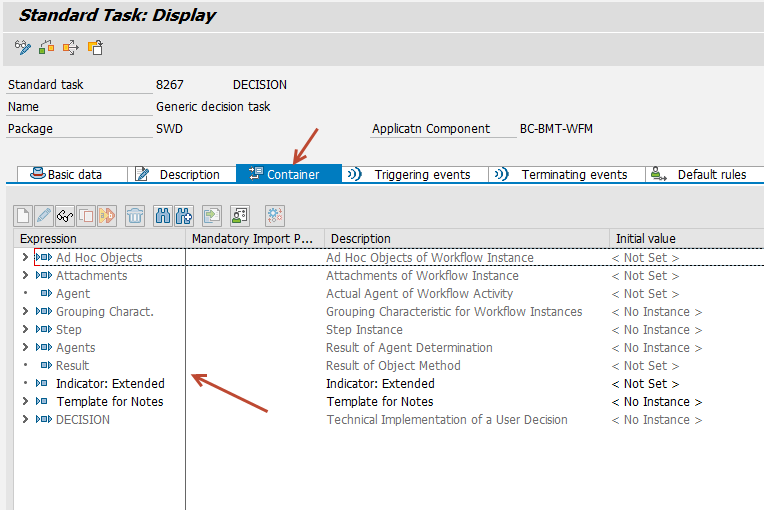 The components of workflow are Workflow, Task, Event, Rule and Business Object method. 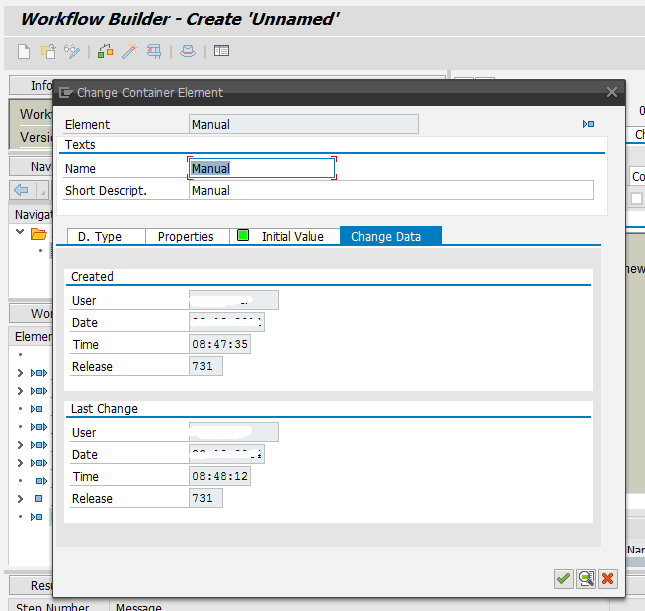 Each of these components have their own containers.So totally we have 5 types of containers in sap workflow. Inside the container we create variables to store the data of different type like SalesOrder#, NetAmount etc. 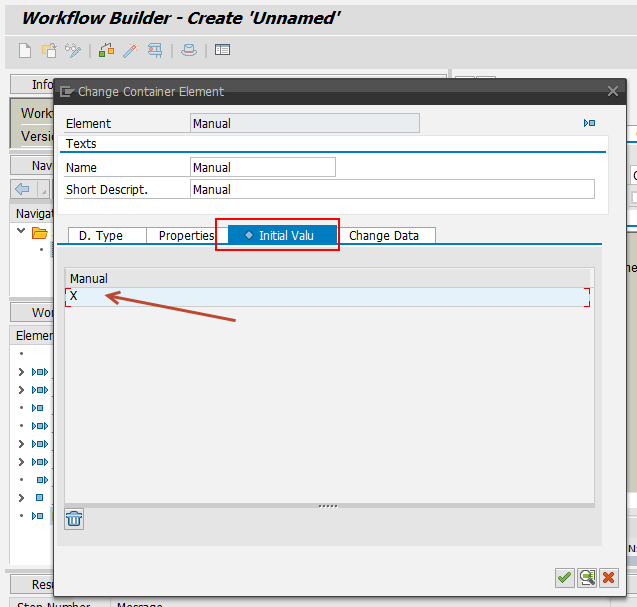 Containers consists of Elements and each element store the data that can be used to control the Workflow execution or can be forward to other steps in Workflow. 1. Workflow Container: It is like global container. You can create as many elements in the container. 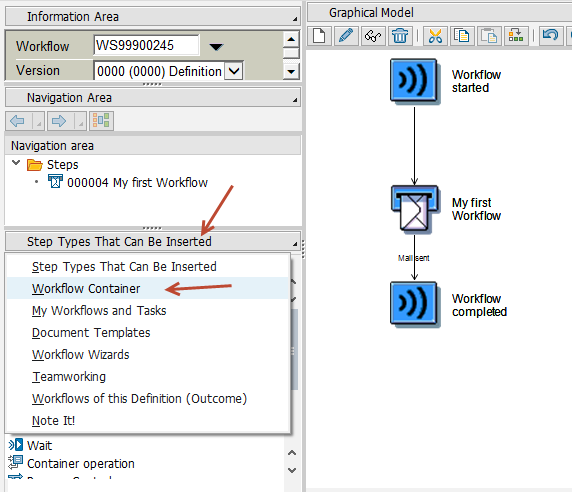 To access the workflow container go to workflow builder SWDD and click on “Step Types That can be Inserted” under Navigation Area and choose Workflow Container. 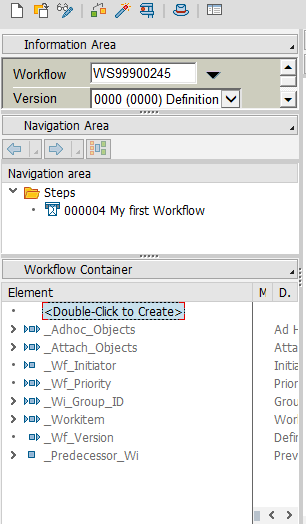 To create an element in the container double click “<Double Click to Create>“.You can also find some default elements available in workflow container like _WF_INITIATOR, _WF_PRIORITY etc..
2. Task Container : Task container can found at Task. 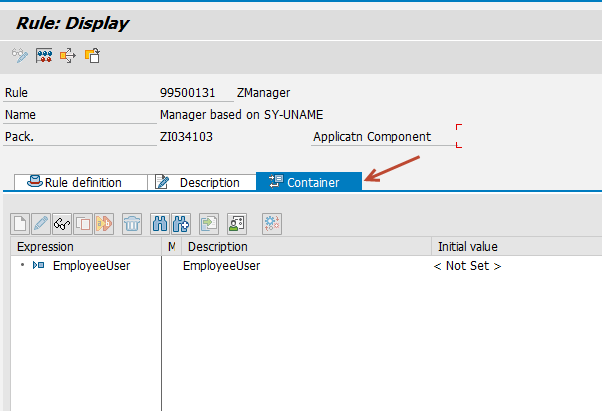 These container elements are local and only visible inside the task. you can display any task using tcode PFTC_DIS. 3. 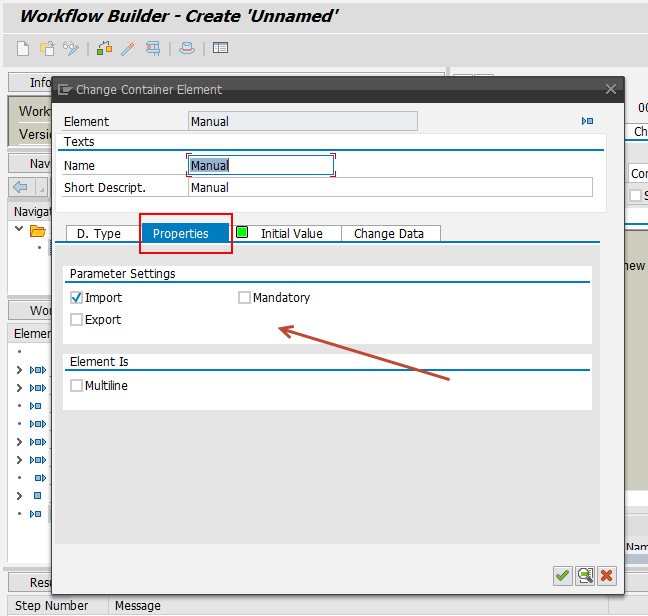 Rule Container: To create or access the elements in the rule container go to tcode PFAC_DIS. 4. Event Containers: The even container contains elements as event parameters. Event container has some default parameters like ”_EVT_Object”, “_EVT_Creator”. 5.Method Containers: Methods containers are nothing but method parameters in business object method which are created automatically when method is defined. Before wrapping up this tutorial we go through the different options we have while creating the Elements in these containers. Properties – We can choose whether an element is Import, Export or Mandatory. you can see this feature like Function Modules Importing,Exporting parameters. 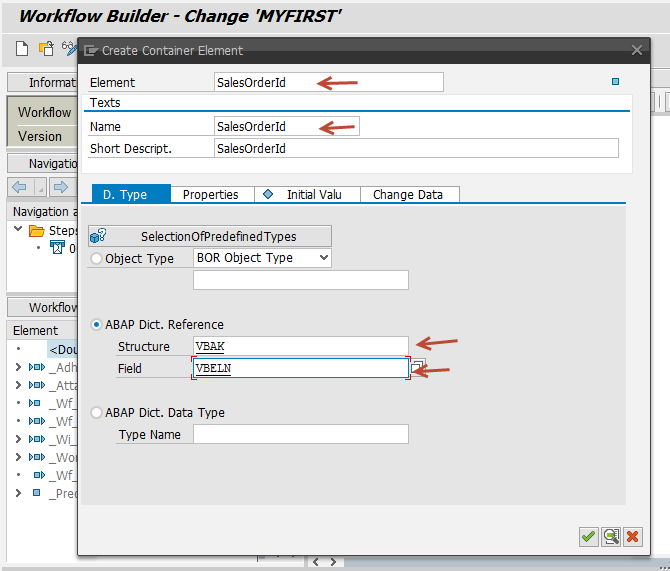 Change Data – It tells us about the who Lastly changed the element and when it was created.